Whether you are or not a 3D lover, it’s pretty safe to assume that you will not carry around a pair of 3D glasses with you. That’s why we want to share with you how to see 3D effect without any equipment! Everyday, everywhere you are looking at the world around you with the 3D effect. You might be wearing glasses, but those are probably not 3D glasses :-). So, we’ll count out the normal eye sight. Instead, this topic will cover few techniques that will help us view things in 3D somewhere we are used to not see this way. Stereoscopic images, originally stereograms, are a pair of stereo images that were viewed through a device called stereoscope. Those images are combined in brain to give a depth perception and with that, an illusion of 3D. To see the 3D effect, you don’t need this device, you just need a little practice with you eyes. For both of these stereograms, there are techniques that allow you to see 3D effect without any equipment. We’ll start with parallel view technique. In a stereogram bellow you can see what may seem two of the same images, placed side by side. This technique is harder for most of the people, so don’t worry and don’t strain your eyes. There is another method that you can try. In the stereogram below, we switched the position of the images, so left is right and vice versa. This is the cross-eye technique and if you are like me, you’ll find it much easier than the side-by-side technique. With a little practice, you won’t be needing a pen anymore. You will be able to enjoy 3D effect in a matter of seconds. You’ll love this one! No hard work for your eyes. The instructions are easy: sit back and take a look at this wigglegram. Wigglegram is also created with two 2D images, one for the left and one for the right eye. The trick is that these images are displayed alternately in a way that helps your brain figure out the space and the distances between the objects in the image. You can easily create all types of 3D images that we mentioned above, with our 3DWiggle software. In the past couple of years, manufacturers introduced us to some innovative technologies that are supposed to revive 3D (TV). They made a display that allows you to see 3D effect, without the 3D glasses. Autostereoscopy is a method for displaying stereoscopic images without special equipment on the part of the viewer. There is a catch though. The display with this technology can have an eye-tracking system so it can adjust 3D effect based on the position of your eyes. This means that only one person at a time can enjoy the displayed image. Now, there are many manufacturers that use parallax barrier on their displays. This barrier basically directs the light from the display for each eye, creating an illusion of 3D in your brain. These are bigger displays, so you should be able to watch it with other people. There is a catch here, too though. 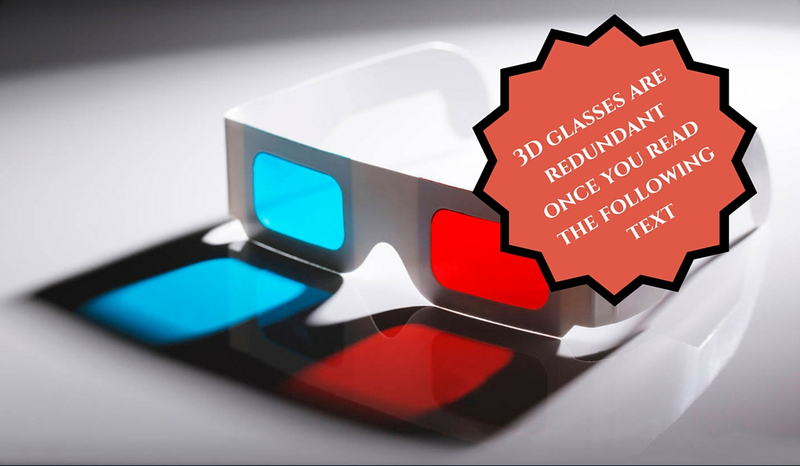 There are several viewing zones, so be sure your eyes are in one, otherwise you won’t be able to see the 3D effect. All of the ways we mentioned in this blog post are fun, but we prefer wigglegram. It’s simple and easy to export to social networks. This way, all of our friends can enjoy it, too. If you know another way or have any suggestions regarding seeing 3D effect without the glasses, please share your experience with us. And, of course, if you need any further explanation, feel free to leave a comment bellow. 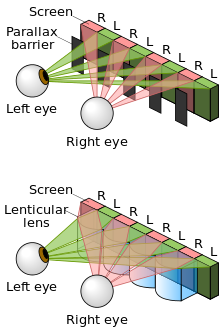 “Autostereoscopy”.Wikipedia. N. p., 2016. Web. May 2016. What will stereoscope be like in a 100 years? Digital marketing assistant, tech geek wannabe and photography enthusiast. I write for business and pleasure at the same time.